Bingo! C’mon, you know the game. As the letters and numbers are called, you mark them on your grid until you have five in a row horizontally, vertically or even diagonally. Here’s a variation you can enjoy with your leadership team. Instead of B-I-N-G-O letters and numbers, we’re going to use common things you’ve seen on bumpers! There’s one last detail. In the center, just like the “free” spot in regular BINGO marked with a star, you get a free spot corresponding with “minivan” and “heart.” Include that and you only need four more to win the game! Pass the grid around to all the players. This is best done when you have most of your staff and/or board on hand. Head off to the parking lot of your center with grids and markers. Work as teams for more excitement. Look around. What do you see? When you find a fish symbol and “I vote pro-life,” mark your card twice! You’ll probably see family stickers and “Baby on Board” for another mark. Look a little more. The first one to find five in a row shouts “B-I-N-G-O”! Do your clients walk through or by these cars to get to the door of your center? If so, what are these bumper stickers telling them in advance? Are they getting a picture of who you are and what your center is about that will slant their answers during intake? Will they be more inclined to tell you what they think you want to hear or what is really on their heart? Or will such positions so obviously opposite their own thoughts even turn them away? Bumper Sticker Bingo, real or imagined, shows that interaction with clients begins even in the parking lot of our pregnancy help center. Not only is it important for your reception area and counseling rooms to be warm and inviting to even the most abortion-minded, so should the exterior of your center. One way to help staff cooperate with image building is to print up your own center’s bumper sticker and make them available to staff and supporters. You can then encourage staff to use your bumper sticker instead of the ones that could turn off potential clients. Using MTV to help clients?! It might be quite surprising to you, but one of MTV’s most popular shows is one that can be used to help the young women walking into our centers. Considering that much of what MTV produces doesn’t fit very well with the Christian values in the pregnancy help movement, MTV’s hit show 16 & Pregnant is one that shows the authentic challenges and drama associated with teen pregnancy. Through a documentary-style format, MTV deserves credit for bringing to light the physical, social, and emotional difficulties of having a child as a teenager. As the show is wildly popular and seen by literally millions of young people each week, it’s a great connection point for pregnancy center staff and volunteers to talk the language of the clients walking in our doors. We at Bethany Christian Services have had the opportunity to work with MTV on several episodes of 16 & Pregnant and another spin-off show on MTV called Teen Moms. While the shows don’t directly advocate a specific pro-life or pro-choice perspective, each episode shows young women choosing life through either parenting or adoption. During the first season of 16 & Pregnant, the season’s final episode was “Catelynn.” The episode followed 16-year-olds Catelynn and Tyler from Michigan as they worked with Bethany Christian Services to make an adoption plan with a Christian adoptive couple from North Carolina. The episode shows the raw challenges of Catelynn and Tyler growing up in very difficult broken families and not having much support from their parents. Catelynn and Tyler display the maturity of wanting a better life for their daughter than they could provide and end up following through with the adoption. The emotion and tears during the show will make you want to have a box of tissues by your side when watching it! Some pregnancy centers have been contacted by MTV when they’re casting for future episodes and looking for pregnant teens. While it’s important to be cautious, if you have a young client who’s confident, well spoken, and interested in sharing her pregnant journey with the world, she can be a great witness to the world through the show. MTV has been professional and respectful of the expertise that we bring about the adoption process. While the filming process can include long, grueling days, the reward of sharing a positive view of caring for young women through their pregnancy with such a large audience is tremendous. You can also order the full Season 1 series of six episodes for $5. 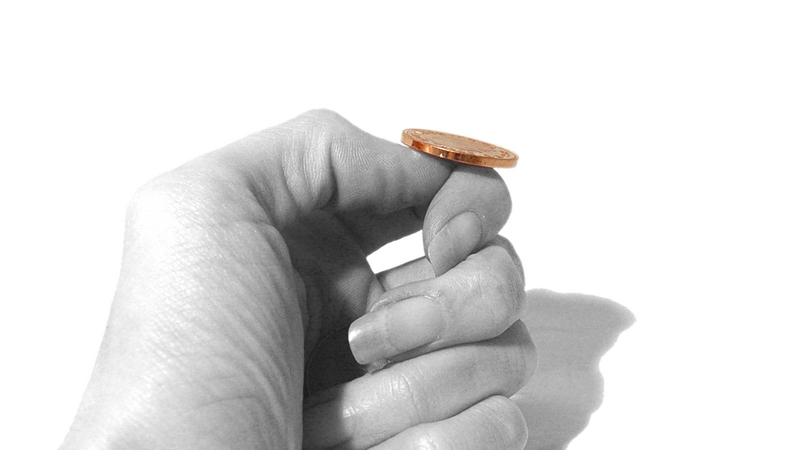 Ever tossed a coin into the air, caught it, and cupped it on the back of your hand to see if it's "heads" or "tails?" It's a classic way of making simple decisions. The two sides of the coin are unique, each with distinguishing marks, but together, they make one coin. In the context of our maternity homes, we face a wide variety of challenging situations. We know we must always respond in love, that's a given. But just as there are two sides to a coin, there are two sides to the love we live out in our homes: tough and unconditional. Rather than the random response of a coin toss, though, we get to choose which side of the “love coin” to apply in any given situation. Tough love is the love of coaches, teachers, and mentors. It’s the love that says, "I know there’s more in you, and I want you to challenge you to make the most of it." It’s the love of accountability and direct feedback. Tough love involves rules, structures, and consequences. It’s the type of love God expresses when He prunes and judges, when He commands us how to live, and when He allows consequences to unfold. Unconditional love is the love of friends and family. It’s the love that says, "No matter what, I am going to love you." It’s the love of second chances, leniency, and forgiveness. Unconditional love involves overlooking things said in anger, or giving the benefit of the doubt when another isn't at their best. Unconditional love is expressed in those special moments when a mother gazes at her child. Mercy and forgiveness are expressions of the unconditional nature of God’s love. As a people defined by love, we are not called to become merely hard-nosed rule-enforcers nor feeble doormats. Love is not an either-or proposition. Love requires the both-and virtue of fierce tenderness, unconditional-yet-expectant. Come Holy Spirit! Make us more capable of perfect love! Young Lady: Hi...i talked with you yesterday. I took a pregnancy test...and I’m not! I just wanted to thank you for your advice about faith and family. I learned a HUGE lesson. OptionLine: You're welcome and I am glad! Young Lady: You guys are doing something amazing for young women. That's great. Thank you! God bless. One Monday, a Tallahassee center answered the phone to hear a young woman ask about an abortion in the third trimester. The volunteer Karen spoke with the caller for a long time in hopes of changing the young woman’s mind. Before hanging up, Karen prayed with the caller. On Thursday, Option Line connected a caller who had questions regarding a late-term abortion, to the Tallahassee center. This scared young woman was pleading for help. Soon, this young woman realized that she was talking to the same center she had called 3 days earlier. She asked if Karen was available, and the Executive Director explained that Karen was out of the office. As they concluded their conversation, she asked the caller to please consider what they had discussed and encouraged her to call back on Monday to speak with Karen. Well, she did call back on Monday, but she said that she was at the hospital delivering her baby. The center was thrilled that she was giving birth to a healthy baby instead of aborting! Since the woman didn’t have much support, the center scrambled to find all the resources she needed including a labor coach, information on adoption, and even a donut! The birthmother called before leaving the hospital to thank the center for all of their encouragement. This story has a very happy ending. Not only was a life saved, but a woman was saved from the effects of abortion, and a baby was given a new home with a very happy adoptive family. Option Line is proud to connect callers to centers so they can receive the help they truly need. Option Line consultants rarely get to hear the outcome of their calls, but each time we send a caller to a center, we pray for the center’s availability and resourcefulness. We understand how hard it is to “wo-man” your 24-hour hotlines and staff your centers and keep up with current resources and information – but we need you and women need you. Thank you for all of your hard work and preparation! The Option Line® that you know and trust is going strong, now fully managed by Heartbeat International®. Since Option Line took its first call in 2003, more than 1.5 million women and their friends have used this valuable service to connect with their local pregnancy help organizations. Heartbeat International’s goal is to connect every person who contacts our Option Line to the nearest help center that can meet her needs. Nothing can replace the face-to-face support that local pregnancy help organizations provide to those involved in an unexpected pregnancy. By partnering with the pregnancy help network and other life-affirming efforts, we offer help to those who need it most. Heartbeat’s Option Line is committed not only to women who need help, but also to highly personalized service to the pregnancy help network. Using the technology of Heartbeat’s Plus Link program for web-based appointment setting, Option Line consultants can set appointments for at risk women in participating help organizations. Scheduling these callers immediately increases the likelihood that women will keep their appointments and choose to carry their babies to term, increasing the number of lives saved. The Extend Web Services program develops and manages engaging websites for pregnancy help organizations at an affordable cost. This effective web presence allows centers to compete online with abortion providers. Centers that take advantage of Extend gain the confidence that the content supplied to their site by Heartbeat is legally and medically accurate. Every day women in crisis are being helped and connected to their local pregnancy help centers to receive even more life-saving support. Monday I received a chat from a 19-year-old girl. She was scheduled to have an abortion on Wednesday. However, I could tell that she was extremely conflicted about the appointment. She openly shared with me that she viewed abortion as killing a life. I knew she did not truly want to go through with the abortion. As we chatted, I discovered that her boyfriend had made the appointment for her. He was very controlling and threatened to abandon her. The girl had no intention of staying with her boyfriend long term but feared that she could not stay in college or make it financially on her own. When I asked her what her mom would say about her decision, she said her mom would tell her to keep the baby. At that point we had a breakthrough! The girl decided to cancel her abortion appointment that day and I helped her make an appointment with her local pregnancy help center! Option Line is a benefit available to all Heartbeat affiliates.